Life is simply going to have to go on for thousands of people the weekend of Carmageddon, when the 405 Freeway is closed down completely near the Sepulveda Pass to accommodate the demolition of the Mulholland Bridge. One of the most beloved farmers&apos; markets in the nation will be up and running in Santa Monica on Saturday July 16th, but the 405 is a significant artery of transit for the farmers who sell their produce at the weekly market. 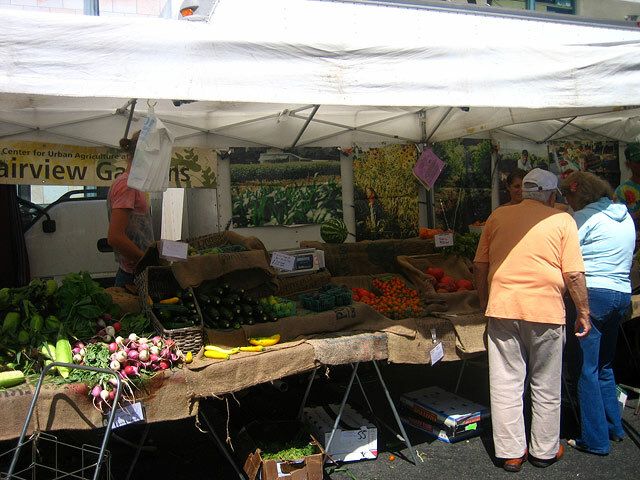 The KCRW Good Food Blog notes that in order for the farmers to be able to get themselves and their fruit, veggies, and other foodstuffs to the Saturday market, many will opt to head into the area early, but will need a place to stay. The "host a farmer" movement is as grassroots as one can imagine: " If you’d like to host a farmer, or you have some &apos;in&apos; at a hotel, please talk to the farmer directly when you see them at the market." Luckily, for that whole weekend, the market vendors will be permitted to park in Santa Monica City lots.